Being a graphics professional, there was no question as to whether or not I’d be updating to CS4. No, it’s inevitable. 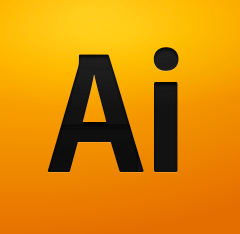 Since I’ve been hearing a number of gripes about having to spend large amounts of money on CS4 when CS3 is only 18 months old, I thought I’d share my thoughts about the new features of Adobe Illustrator (AI) CS4 and let you decide if it is worth getting. The first thing I have to say about all of the CS4 apps is I love the new tabbed interface. Even if you don’t use tabs in Safari or FireFox, you will quickly appreciate how this new interface cleans up your desktop and makes switching between open files a dream. Moreover, the new interface also provides better support for multiple monitors. In CS3, every time you launch an application you need to reset your custom workspace. No longer. Now all of the Adobe CS4 apps retain their settings. This is something Adobe clearly should have fixed in CS3 but failed to do until now. A number of AI users have been asking for years for multiple pages. Of course, I understand why Adobe wouldn’t give us multiple pages in Illustrator. We wouldn’t want to eat into InDesign sales, would we? No, but Adobe has offered us a new feature in AI CS4: multiple art boards. This feature may take you a minute to get your head around; personally, I found it a bit confusing and not at all practical for my use. In the past, if I needed to produce art in varying sizes on one art board I did so by giving each set its own crop marks. I’m not going to attack this feature, as I am sure some people may appreciate that you can now have any number of art boards and any variety of art board sizes in one document. But to me it looks like a prepress/preflight nightmare. The Appearance Panel: I like that this panel finally has a use. Now if you click on any given object or group in your layout, you can see and edit any of the graphic styles that have been attributed. I find this to be a handy shortcut. It does save me time from having to access the effects from the pull-down menu. However I do find it redundant when using it to edit strokes and fills. The Graphic Styles Panel: The new “control click” preview is a handy feature. If you select an object and then control click on the different graphic styles you have loaded, you’ll get a thumbnail preview of how it will look if the style is attributed. Also new to Graphic Styles is the ability to apply multiple graphic styles to a single object using the Graphic Styles Panel. Unlike in the past where if you attribute any single graphic style it would completely override all of the previously attributed styles, now you can actually add additional graphic styles without it wiping them out. The only exception is if you combine conflicting effects; in that instance, the latest effect will still override the previous attribute. I have found the ability to build graphics styles to be very useful. I’ve saved time by building a series of very generic and basic graphic styles with the settings I use most. Smart Guides and Alignment: Just as in the new InDesign, as you move an object around on the art board the application shows you key alignment guides. These guides just pop up and show you as you get near a key placement either the center, side, or top/bottom alignment. Again this is very handy: not having to continuously mouse over to the Alignment panel while working. The Alignment panel: Not much here but I do like the align to key object feature. Once a group is selected you can now click once more on a single item (or group) and set that item as the key to align to. The Gradient Panel and tool: At first I hated this new feature. I didn’t like how when you select an object with a gradient this new little widget popped up over the art. It seemed in the way and completely unnecessary to me. To be honest, I’m still not completely sold on this new feature but have found myself using it quite often. Maybe I’m just getting too old to deal with change even if it is for the better. Still I don’t think we needed this. What we did need and finally got was gradient opacity. Also new to AI CS4 are a Separations Preview panel, which is very similar to the one in Acrobat, and a new Color Blindness preview to assist you to see how the impaired view your art. Another new tool is the Blob Brush, which for me is appropriately named. However, if you use a pressure sensitive input device, this tool could be helpful. One thing absent from AI CS4 is the Filters menu. That’s right; all of the Filters have been moved into the Effects pull-down menu. This is neither good nor bad as far as I can tell. However, I thought I should note this so users don’t freak out when they go to look for a Filter. So if you’ve read my initial evaluation of this list of new features in Adobe Illustrator CS4 you’ll have to say my overall perspective is positive. I love Adobe Illustrator and have been an avid user for 20 years. But CS4 is not as valuable an upgrade as some of the other CS4 applications are. I’m not sure what else I’d like Adobe to add to Illustrator, since it’s such a solid program already. Please let me know your take on AI CS4. Or if you found this review helpful, I’ll be pleased to hear from you.